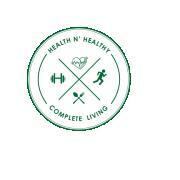 Healthy n' Healthy Complete living specialise in Healthy food, bakery and total fitness. Our Healthy bakery and cafe specializes in reconstructing everyday bakes into healthy bakes using strictly whole grain, seeds, nuts and sugar free products, also gluten free, casein free and vegan products. We offer meal plan, meal prep and other weight management services. Got an event? Get in touch with HealthnHealthy.